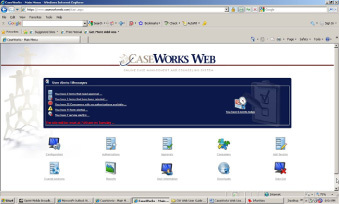 CaseWorks Web is a Web-based case management system designed specifically for the behavioral health and criminal justice industries. CaseWorks features a unique approach in online case management because it is constructed to mirror an organization's pre-existing paper forms and processes. This system is highly configurable and simple to implement for organizations that are migrating towards paper-free practices. With comprehensive reporting, case management and document tracking capabilities, CaseWorks is a highly valuable tool for managing your behavioral health or human services enterprise. Rehab Support, helps your executives plan the construction of your CaseWorks database as well as lead live training for your associates once your site is completed. Rehab Support is eager to discuss how CaseWorkscan solve your documentation and personnel management challenges. The specialists at Rehab Support look forward to the opportunity of helping your organization address these challenges through the use of CaseWorks Web. Rehab Support is available to present the benefits of this system to you and your colleagues through an in-person or Web-based demonstration at a time of your convenience.